Do you love Choc-nut? I do. This is the favorite chocolate snack that Filipinos working abroad miss so much. I have however discovered a new Tsoko-Nut that people would soon love and crave. 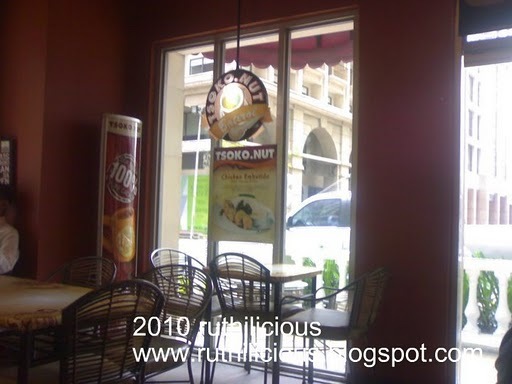 My friend dragged us all to this homey cafe in Eastwood (just next to the Excelsior tower, behind IBM building). I was all for new dishes and food so I was excited to check out the place. The Menu - they only offer a couple of rice meals and some pastas. I tried the Rellenong Bangus and it is stuffed and tasty and is worth my money (Php115). 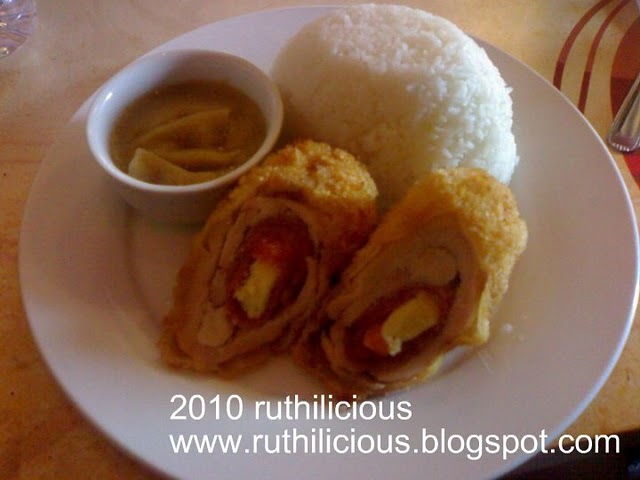 My friend had her favorite - Chicken Rolls. 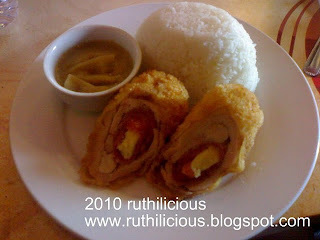 Local version of Chicken Cordon Bleu? The new offering is Embutido with Cheese Sauce. 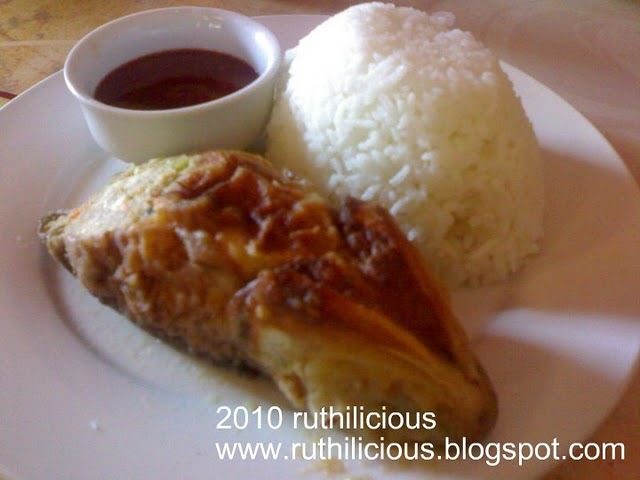 Yes, cheese sauce instead of the usual catchup. This store specializes in giving traditional food with a twist. Malunggay, they say is the new green wonder - the Malunggay Pasta with Shrimp is a must-try! It tastes so much like Pesto Pasta. We wonder if they had mixed Pesto in it, but I doubt since it would mark up the food costing. 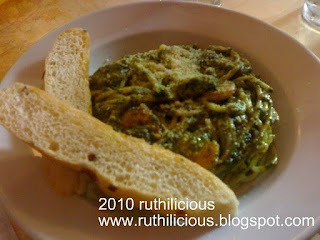 Pasta is less than Php150 - and we are talking about something healthy here. 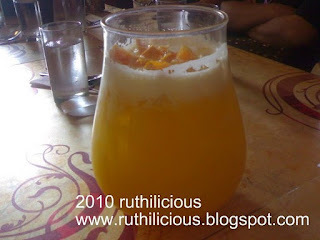 We also ordered Pina-Orange Juice - big bowl at Php135. It would serve 4 full glasses with slices of oranges. The whole place is homey, although small. There are only around 7 square tables inside, and an alfresco for smoking. Cakes ranges from Php80 to Php120. They even serve Napoleones and Tablea Chocolate Cake. Too bad, the store doesn't accept credit cards at this time. I would go back and try the cakes ; and make sure I have cash and my camera for more pictures.Thanks to my friend and her camera phone for the pictures!